I know you think this should be K is for kissing, but I’m never one to jump to the obvious. So today’s post is brought to you by the letter K, which is for the Khan Academy. The Khan Academy is a not for profit, free educational website, which has the rather lofty goal of bringing a world class education to everyone with a PC, for free. Basically, not only is this a fabulous tool for quick and dirty lessons on algebra, art history, or economics (and a lot of other stuff), it’s been very useful for me when researching a book. You can quickly find a subject (Baroque art, anyone?) and find out enough about it to enable a character to speak with authority on the topic. For me, the three lessons on the Fibonacci (you know, that ratio of numbers that seem to appear in every part of nature), has been invaluable. 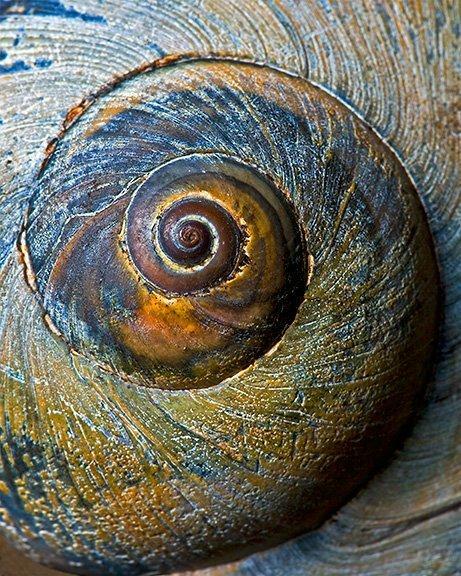 An example of Fibonacci. Pretty, right? Go, look and learn. And then do what I do: pretend you’re an expert. Always, always learning on this challenge! Since this is my first visit, I'll comment on your delicious pieces of information. Downton Abbey my favorite, anything here from Masterpiece Theater is something I do not miss. Cannot wait until next year when they continue, DA. Hope you're having a great week and happy A to Z!! I'll have to check it out. I feel like I'm getting dumber and dumber every day. This will help!